© 2012 by Sam Rutter; all rights reserved; content may not be copied, rewritten, or republished without authors written permission. There are a variety of reasons why Master Spa Eco Pur filters have become so popular. 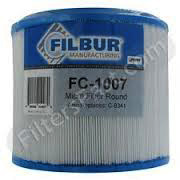 These filters offer high grade filtration that easily remove contaminants and debris from the water. The main concept behind the system is to cut down on weekly maintenance. Having a superior filtration system like this one ensures that the quality of water is beyond industry standards with little effort on the users part. By decreasing the quantity of chemicals required for operation, the owner enjoys less investment on upkeep. Eco Pur filters are also precisely fitted to produce a better flow, consequentially helping in reducing stress on the pumps. As with any other type of machinery, less stress equals less wear and tear, which in turn equals a longer lifetime and a better investment. The Eco Pur filter are a mineral-based refining system that is engineered to provide the best possible filtration. This model takes advantage of a similar technology that is utilized for purifying drinking water. This procedure makes sure that the water is always clear, clean, and ready to use. These units can be costly and with proper maintenance need not be replaced on a regular basis. Hence, it is important to clean them on a regular schedule. Detach the unit from the spa. Make sure that the power is turned off while the filter is being cleaned. Get rid of all large debris objects and bits of hair. Try to brush down the length of the seams of the system to clean off as much debris as possible. Wash the filter thoroughly. With the assistance of a power washer (at a low setting to avoid damage) or a garden hose, carefully spray water down the filter till its completely rinsed. Soak the unit in an approved cartridge cleaner if the filter needs a deeper cleaning. Follow the dilution instructions on the cleaners bottle and then rinse thoroughly. Let the unit dry. Replace it in the hot tub. Here are a few things one must do to enjoy the spa in a safe and healthy manner. 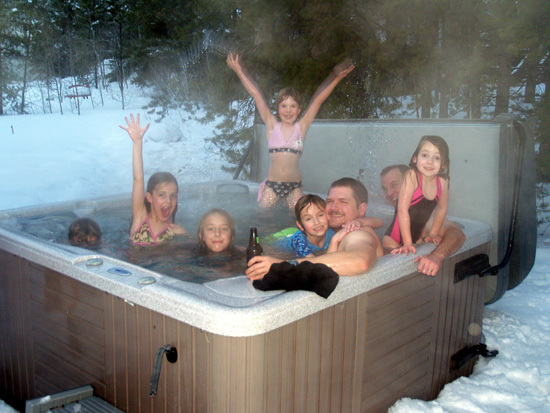 There are a variety of chlorine granules and tablets that can be utilized in hot tubs. However, it is essential to watch specific parameters. The chemicals that require their quantities being checked regularly are the chlorine or bromine levels, alkalinity, and pH. The correct use of chemicals will help keep the water in a clean and healthy condition. Inexpensive water test kits are readily available for this purpose and it is strongly recommended that spa and hot tub owners use them religiously to ensure safety and stability. It is good to make sure that the water is changed regularly per manufacturers recommendations. Changing water is essential as the bi-products of chemicals tend to get overly concentrated after a period of time. When such things happen, it gets very difficult to balance out the waters chemistry. With so many benefits, one can easily understand why Master Spa and its filters have become so popular. However, to purchase products that perform to the best standards, its essential to get in touch with a certified dealer. The provider must have a good reputation in the market for trading quality hot tub parts. Several of these dealers also have an online presence and allow users to quickly search what they are looking for and purchase through a well protected transaction server. Do you have any spa maintenance tips, scheduling procedures, or favorite test kits to share with our other readers? Let them know in the comments section below. This educational piece of content is created by Sam Rutter, Guest writer and strategist for Master Spa Parts, a leading source and supplier of spa and hot tub parts and accessories like Filters, Pumps, Parts, Circuit Boards, jets, etc.